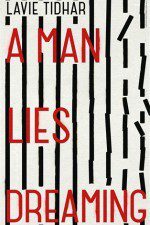 Congratulations to Nnedi Okorafor and Lavie Tidhar! We are DELIGHTED to announce that we have two novels shortlisted for this year’s Kitschies Awards and one shortlisted by the BSFA for Best Novel! 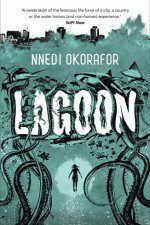 NNEDI OKORAFOR (@nnedi) for Lagoon, which has been shortlisted for a Red Tentacle – best novel of the year! We’ve also just learned that Lagoon has been shortlisted for Best Novel in the British Science Fiction Association awards! We’re proud to be publishing Lavie and Nnedi, and delighted to see their books achieving such well-deserved recognition. Cover Reveal: Children of Earth and Sky by Guy Gavriel Kay Bask in the glory of the radiant cover for Guy Gavriel Kay's new novel.